The holidays are fast approaching. Pretty soon stores will be full of Christmas displays, houses will be decked out in festive decorations and lights and you’ll be rushing to get the perfect gifts for friends and family. What will it be—Clothes? Books? Some sort of quaint knick-knack? While you’re making your list and checking it twice this holiday season, consider doing something different and give the gift of pain relief. You mean Vicodin? Advil? No, electrotherapy! The market offers safe, easy-to-use electrotherapy devices for home treatment. TENS Units, for instance, use gentle, electrical impulses to prevent pain signals from reaching the brain. For decades, professionals like athletic trainers, physical therapists and chiropractors have used these electrotherapy treatments in their offices. They’ve proven to be effective, but paying for frequent visits to a medical professional adds up. Fortunately, these same treatments are increasingly available for home-use anytime and anywhere! If you have a family member or a friend who suffers from chronic or acute pain, or even just tension in the shoulders or back, electrotherapy could change their life. 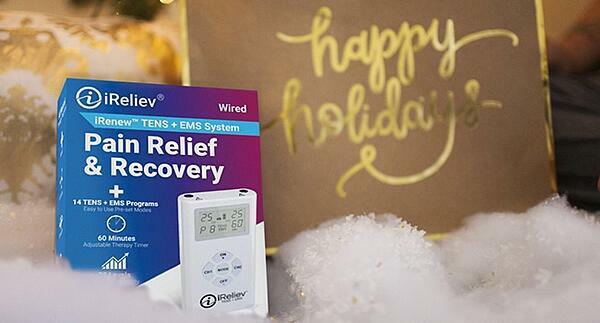 For less than $50-$100, iReliev sells safe, FDA-approved home-use TENS Units and EMS devices. These units have the power to offer a new kind of freedom to those who battle pain. Electrotherapy is drug-free and can be used as often as necessary. Can you imagine the look on your loved one’s face when you explain what this gift is capable of giving? They may not even believe you! Slippers are nice, sweaters are cozy, but continuous relief from pain? That’s a unique gift. 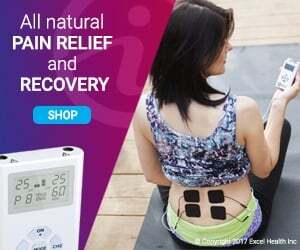 Why Buy a TENS Unit? TENS Unit is the drug-free pain killer. The massage-like pulses that TENS Units send through the skin are great for treating carpal tunnel, chronic or acute pain from injury, and sore muscles. iReliev’s TENS unit is small and portable—about the size of an older iPod—and can be worn discretely throughout the day. One can use TENS Unit for relief while at home, at the office or even while playing sports. For those who have suffered from limitations caused by pain, iReliev’s TENS Unit can help. Why Buy an EMS Unit? EMS Units use similar electrical impulses to stimulate the muscles. The muscle stimulation provides relief, encourages recovery, and aids in muscle growth. Where relying on Advil or other OTC painkillers to treat sore muscles is detrimental to an athlete’s training, EMS Unit is beneficial. 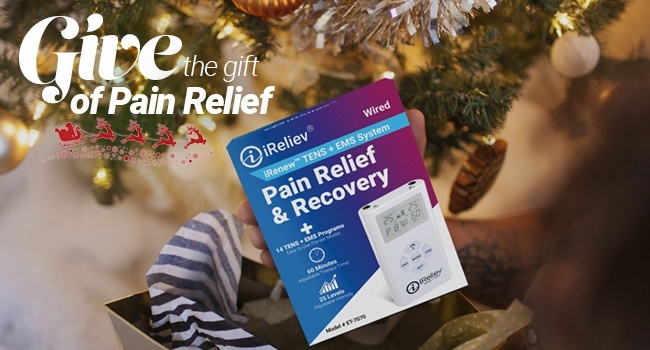 A home-use EMS Unit like iReliev’s TENS+EMS Unit would be a great gift for an athletic friend or family member this holiday. Electrotherapy is in an upswing of popularity. More and more people are learning about the benefits of TENS+EMS Unit technology. It’s a more positive way of treating pain, which is much needed. By giving the gift of pain relief in the form of electrotherapy, you’re also helping to spread the word. Your gift this year could inspire the same gift for a friend of that friend next year. Consider giving a TENS Unit or EMS Unit this holiday. Electrotherapy really is the gift that keeps on giving!